Are your business, family and life fully aligned and moving forward? Or are you wasting precious time and energy, going many directions at once and not making rapid progress toward your goals? The Natural Laws of Management: The Admin Scale will help you discover what is truly important and give you tools to coordinate and align your actions and energies so that you can build the momentum and power you need to succeed. With The Natural Laws of Management: The Admin Scale you will learn the highly effective tools of L. Ron Hubbard’s Administrative Scale of Importance (a powerful technology of coordination and alignment), also known as the Admin Scale. You will learn to recognize and act upon what is actually important in the management of your business, and in life situations as well. As a result, you will receive more return for the personal energy you invest. With a fully aligned business, family and person life, you become an unstoppable powerhouse. Buy and apply The Natural Laws of Management: The Admin Scale. 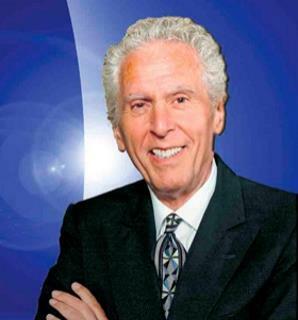 Traveling all over the world, he has appeared on radio and television in some eight countries and in just about every state in the U.S. (including such shows as Larry King, Tom Snyder and Voice of America.